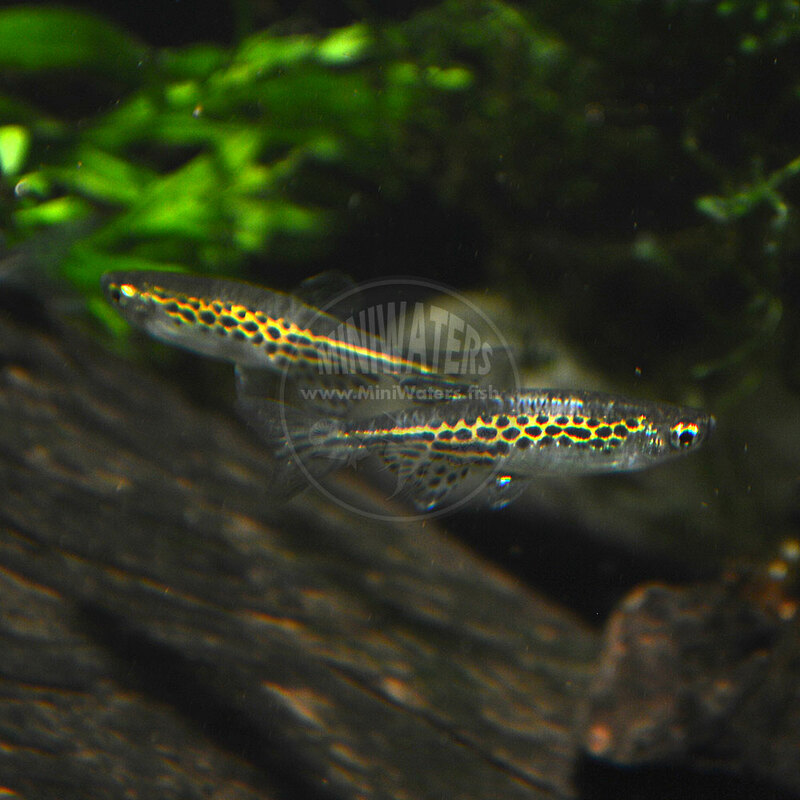 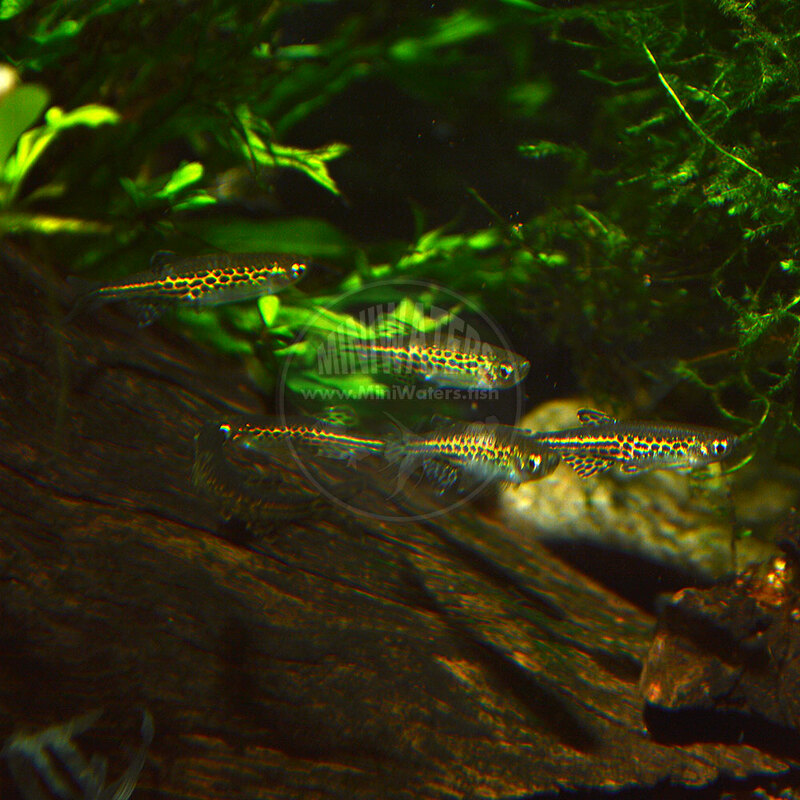 Also known as Danio tinwini, Brachydanio tiniwini, the Gold Ring Danio, is a relatively new species compared to many of the classic bread & butter Danio species that have been widely available for decades like the related Zebra Danio (granted, the Tinwini Danio has possibly been coming into the aquarium trade on and off for 15 years now). 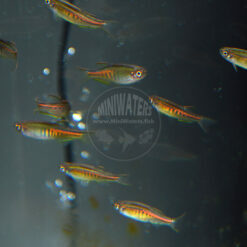 According to SeriouslyFish.com, this species hails from the same watershed as the Glowlight Danio, Danio choprae, in northern Myanmar. 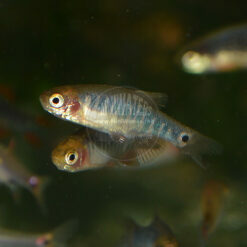 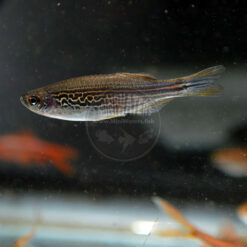 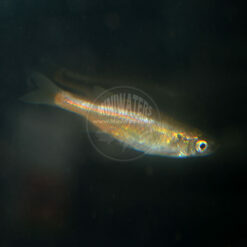 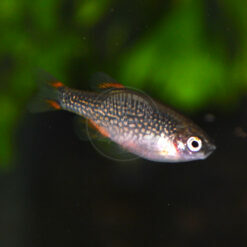 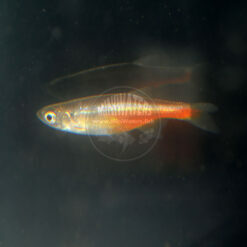 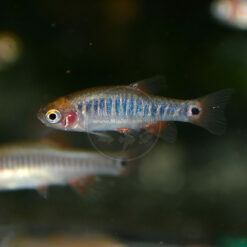 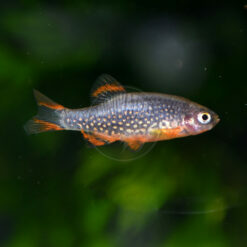 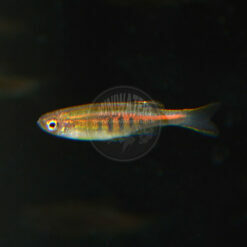 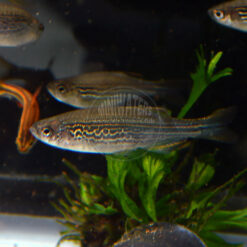 This is a small Danio, coming in right around the 1″ mark as an adult. 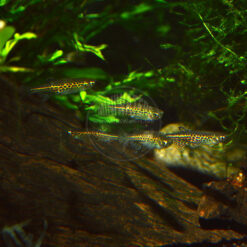 Peaceful and a schooler, so best kept in groups.